To make wings, take a top piece and fold it in half. 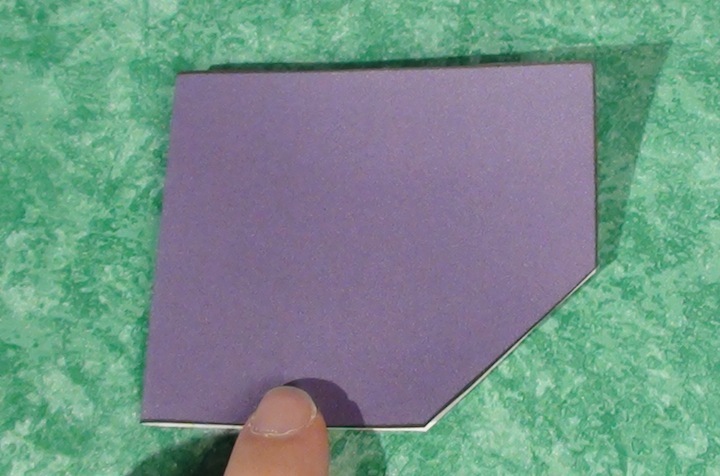 Cut along the line shown to split the top into two pieces. 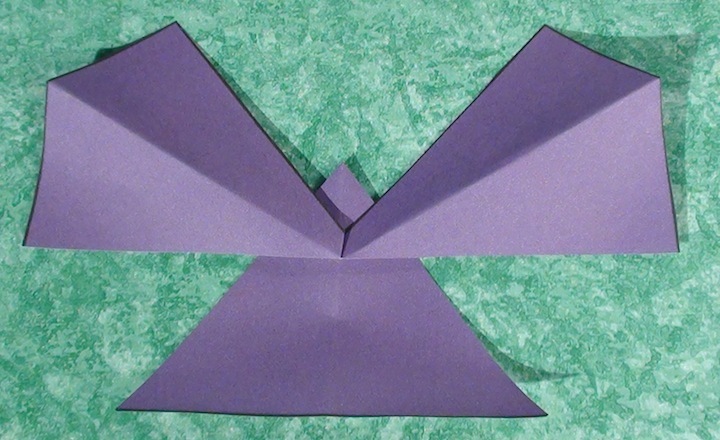 Unfold and you have the triangle, to be the base of the wings, and the other piece is to be the top of the wings. 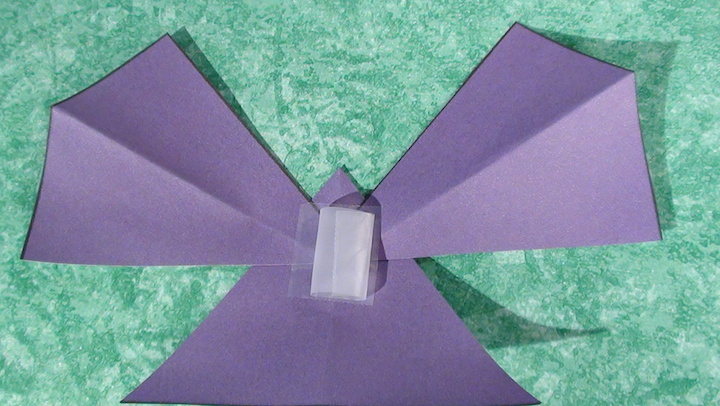 Fold each side of the top part of the wings as shown in the picture, pinch tightly, then unfold. 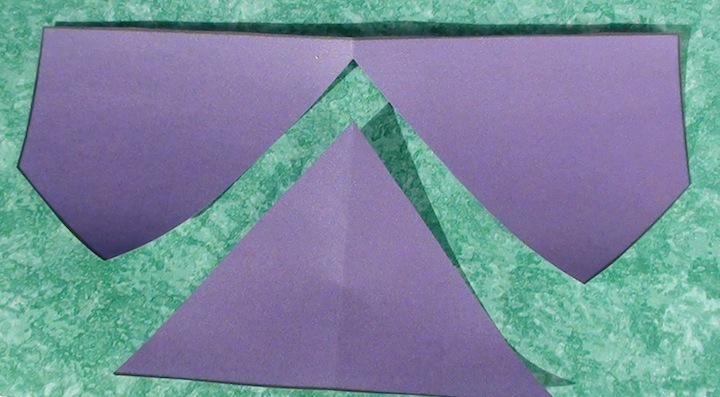 Fold the top part of the wings so that the bordered edge is at the top and bottom edge, which is the line you cut on, is a straight line. 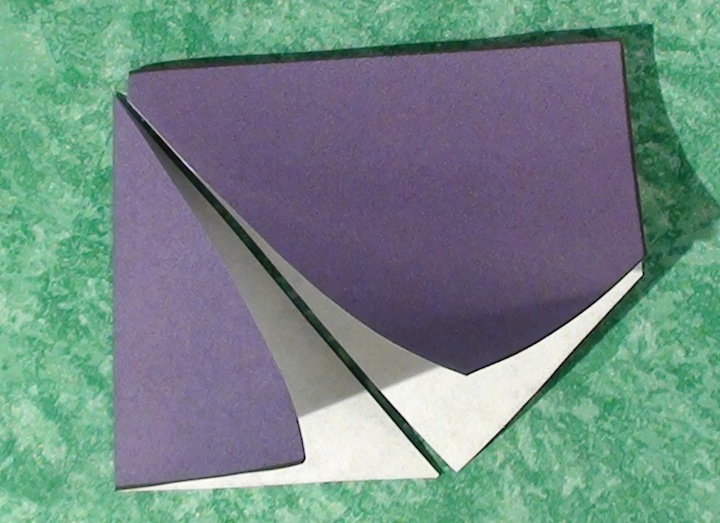 Then place the top of the wings on the triangle base part as shown in the picture. 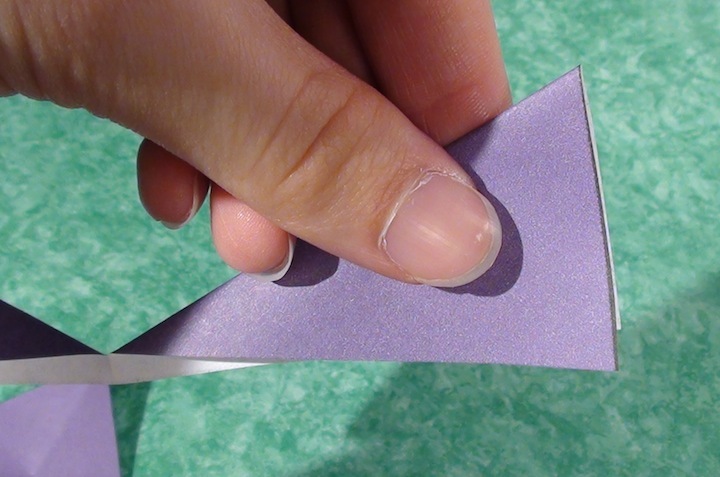 Place a piece of tape to hold the wing pieces together. 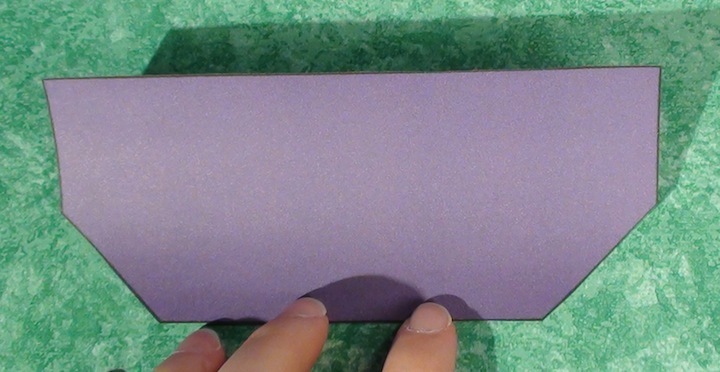 On top of this piece put either a loop of tape or piece of double sided tape. 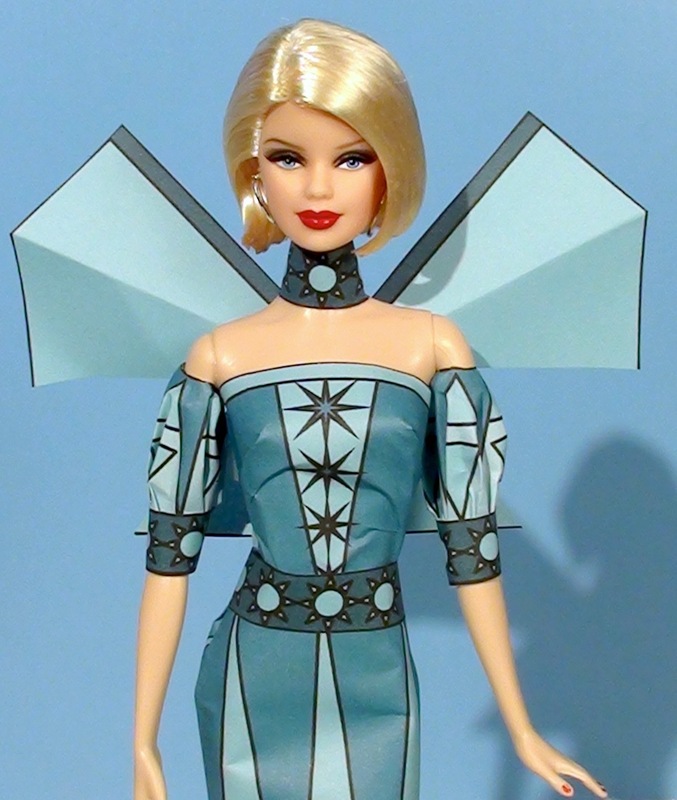 Press the wings against the back of the doll in the place you want them. Note that this will likely get tape on your doll.